It was that time again, our students from Queens University Belfast were boarding a flight to another distant part of Europe, however this time the sleepless nights were not due to working late in the paddock and downing coffee shots from the vending machine. Instead, this occasion demanded a different type of shot! Yes, it was the final Reiter Engineering event, the final hurrah that was the 2017 Reiter Young Stars closing ceremony in the beautiful city of Salzburg, Austria. 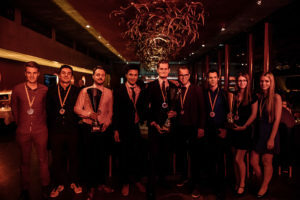 With the teams of students, drivers and guests making their way from various parts of Europe to celebrate the hard work and dedication committed by all throughout the GT4 European Series Northern Cup season and to crown the winners of the Reiter Young Stars Driver and Student Championships. With Mads Siljehaug and our very own Lennart Marioneck being crowned Champion and Vice Champion respectively, it truly was a reason to celebrate. 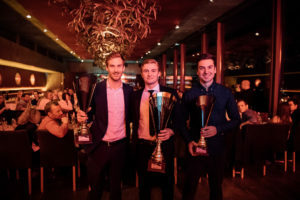 Jamie Jason Vandenbalck claimed third in the Reiter Young Stars Driver Championship and RYS Team Kiska want to congratulate these drivers for their achievements throughout the season. The students from RYS Team WP (Chalmers University of Technology) picked up P1 in the student championship, with RYS Team InterNetX and RYS Team Holinger lifting second and third respectively. Congratulations to these students for their hard work and commitment throughout the year! 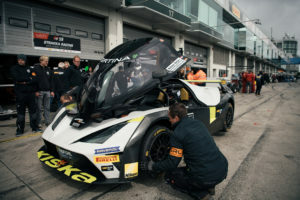 Reiter Young Stars has enabled students from Universities across Europe to fuel their passion and desire to enter the world of motorsport as young professionals. 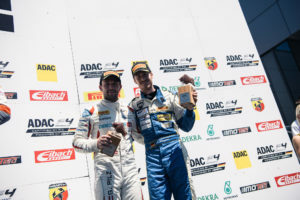 No doubt the lessons learnt while competing in the Reiter Young Stars and the GT4 European Series will hold them in good stead for their future careers. Experiencing the commitment given by all to maintain an international racing team, especially one that is at the forefront of international motorsport has given the students a deeper understanding of the world of motorsport. 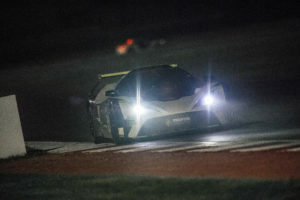 Whether that may be the time it takes to set up the Reiter Engineering Paddock or the dedication the mechanics have each racing weekend to ensure the KTM X-Bow GT4 cars are out on track. As for the students from Queens University, they have developed many skills necessary to work in a large race team; effective communication was key when working in such a time limiting and high-pressure situation that race weekends offer, since effective communication is key within an international team in order to achieve a collaborative goal of a successful season. To recap the season, here are some comments from the students themselves on their experiences within the Reiter Young Stars this season. Perhaps the race weekend at the Slovakiaring. Although it certainly wasn’t the most successful weekend that the team had, it was the most memorable. After the decision by the stewards to disqualify all the KTM X-Bows’ from the both Qualifying sessions and Race1. All the Reiter Young Star teams came together as one. With every mechanic, engineer and student collaborating to get the cars on the grid in the limited time we had resulting in a victory for our Colleagues RYS Team KTM. It was clear what this team effort achieved despite the circumstance. Misano Race 1: RYS Team Kiska P1! Despite it being our first experience working in motorsport, we were able to support our drivers and perform to high standards to achieve an opening season victory. We were learning from Reiter’s engineers, mechanics, and our talented drivers to gain the skills necessary to be highly competitive and successful! This thrill drove our focus every race weekend, knowing we were very capable of success! The results were fantastic, amazing memories and finishing 3rd in the team standings of the GT4. The students RYS experience, what it has meant to them, and what the does the future hold? The opportunity that this championship offers is incomparable, not only has the Reiter Young Stars illustrated the important of teamwork and communication, but has also inspired me to pursue my interest in motorsport further, where ever that may take me. 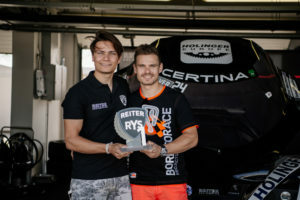 It confirmed that motorsport is something I would certainly like to be a part of in the future, the idea of it had always been appealing but Reiter Young Stars gave first hand experiences that made me even surer. Looking forward to more time track-side at higher levels of the sport and also in different categories. It has improved my communication across language barriers, instilling confidence in my knowledge and how I can communicate effectively with others! Overall, it has ignited a much deeper passion for motorsport! Wanting to develop upon the skills and knowledge gained during RYS, my confidence has taken a new height in searching for an automotive career. The commitment given by all throughout the season has been nothing other than astonishing. It is at this time we realise why motor racing is a sport that commands such passion, for it is not just about winning races, but more about the journey along the way, the people that you meet and the memories that are created. However, as the saying goes, all good things must come to an end. Congratulations to Reiter Engineering and all the mechanics and support staff for a successful season in the GT4 European Series Northern Cup. Without the mechanics, support staff and hours of admin that goes on behind the scenes, there would be no racing. Congratulations to Lennart Marioneck, the vice champion of this year’s RYS championship and the P3 holder in the GT4 European Series Northern Cup. RYS Team Kiska, would like to thank Hans Reiter, Tomas Enge, and Naomi Schiff from Reiter Engineering for hosting Queen’s University Belfast within the Reiter Young Stars 2017. RYS Team Kiska would also like to thank all the sponsors of the Reiter Young Stars, for without them the RYS championship would not exist and offer the students and drivers this wealth of opportunity. Finally, thanks to all the drivers who competed within the RYS Championship as part of RYS Team Kiska. 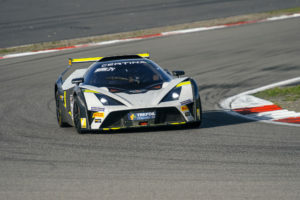 With a difficult season behind Lennart Marioneck, he will compete in the 2018 GT3 Blancpain series, competing in the biggest GT series within Europe on some of the worlds’ most popular race tracks. Keep an eye out for him on the podium in 2018! RYS Team Kiska would like to wish you all the success for your future within motorsport.